If you're thinking of leaving relaxers behind and you don't want to cut all of your processed hair off, you'll need some transition styles that will take you from straight hair to your natural texture. While most of these styles are protective, you can still wear your hair out on occasion. 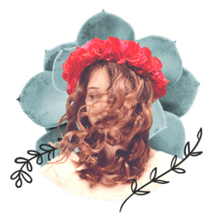 Try these hairstyles to get you through the sometimes awkward stages of transitioning and you'll feel confident that your hair looks good every day. Blend those curly roots with your relaxed tresses with wet sets. 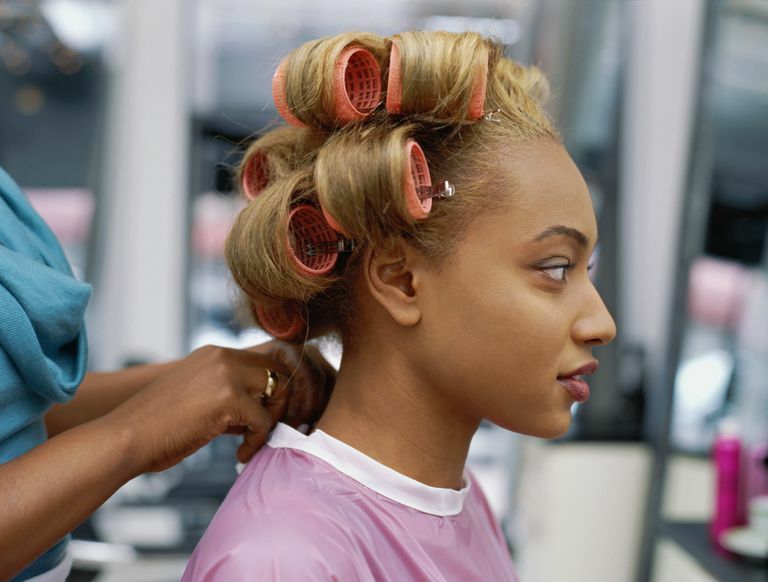 You can set your hair on magnetic rollers, flexi-rods, perm rods or Curlformers. You have a good degree of controlling how curly you want your finished style to be because setting tools come in an array of sizes. Because wet sets don't rely on direct heat, they're a gentle way of styling your hair. Plus, you're getting the hang of making your straightened hair match your textured new growth, which is a healthy way of transitioning. Buns, topknots and chignons are all easy and elegant ways to style transitioning hair. If you work in a professional environment, skip the scrunchies and choose other accessories to hold your hair in place, such as hair sticks, hair pins and tortoiseshell clips. This is definitely one of the easiest styles to create, but be careful not to get lazy about it: give your hairline a rest from this sleek 'do at least a couple of times per week. This cuts down on the risk of thinning hair around your edges. Speaking of edges, there are plenty of edge control products out there to keep that hairline "laid", so try one of the healthier options such as Shea Moisture Jamaican Black Castor Oil Strengthen, Grow & Restore Edge Treatment or Creme of Nature Argan Oil Perfect Edges (both available at Amazon) instead of an alcohol-laden gel that will dry out your mane.